Diaristic Notations: Mt. 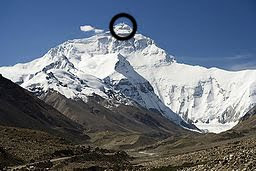 Everest, so to speak. We made it to the top of Mt. Everest. The descent begins. If you look very very carefully at the photo above you might see us. It is 5.57516129 miles up... unless you retrace your steps because you are lost. That's straight up, as the rocket flies. But figuring a 45 degree slope, it is 7.88446871 miles up. Our next challenge! 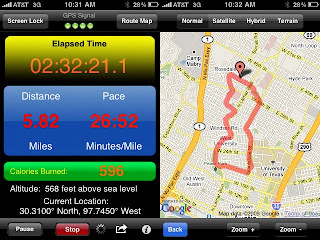 In case you doubt whether we really accomplished the walk, I thought I'd prove it with this iphone data and map. Even the scientists in Copenhagen are impressed that such a walk could be accomplished under such challenging conditions. I don't doubt you made the walk, I just doubt the the climb stuff! H.